‘A New Confusion in Pop’ reads their Facebook page. Honestly though, I see no confusion here. Faridkot’s self-titled debut album in its entirety is a true to the roots pop album teeming with fundamentals of Blues, Funk and Electronic. For a debut album, the Delhi-based five piece sound tremendously at ease and somewhat experienced within the basic framework of this fifty- minute Times Music’ release. 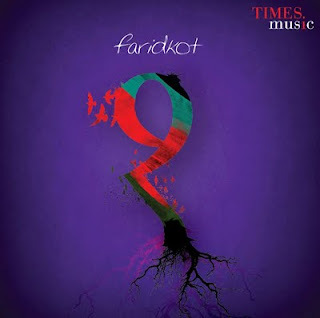 Faridkot displays some thoughtful songwriting, rock-solid production and quirky lyricism that at times belies the band’s youth. The only legitimate criticism that can be made of Faridkot is the propensity of the band to somewhat overdo things once in a while. In my personal viewpoint, Vocalist Inderpreet Singh and Drummer Sahil Mendiratta stand as the strong-points of the album while the rest of the band struggle to make the few details of their respective instruments heard. Overall, Not spectacular but very promising.